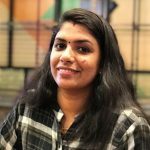 Haripriya Lekshmi is a B.Tech Computer Science graduate with more than 5 years of experience in Digital Marketing. She has intense passion for digital marketing. She loves to read and write on trending tech topics as well.